We’d love to have you join us for one of our culinary classes! Our Classes include 6 Students minimum and 8 maximum. If you would like to book a Class for your group, please call or email us to reserve your Class date! We will try to make your chosen date work….....if a workable date is not listed. You will have a very fun day with your birthday, anniversary, sibling, close friends or corporate group learning how to make awesome artisan sourdough bread and having a fantastic wood-fired Pizza Lunch! This is a 4+ hour artisan sourdough bread baking class that includes instruction on making a fantastic sourdough bread; hands-on kneading of your dough; we then make our own individual pizzas and bake them in the brick oven; you’ll want to try our own Gringo Tex-Mex Pizza, made with our housemade Gringo Gravy™, a Tex-Mexy, subtley smokey, heat-infused sauce; served with Green Salad with housemade Lemon Honey Dijon Vinaigrette, our own Spicy Icy Tea, Soft Drinks, and an Apple Stromboli for dessert that is baked in the outdoor wood-fired brick oven and served with our own Vanilla Cinnamon Ice Cream. You take home a container of our very active sourdough starter with instruction on the “Care and Feeding of Eduardo;” what it means to “turn” your dough; tips on the perfect slashing, misting, baking and proper boule shaping of your dough. 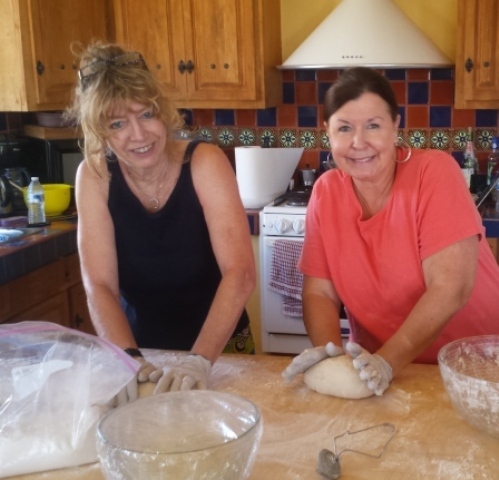 Also included is our awesome rustic bread recipes, pizza dough, pizza sauce, along with many other really good recipes, most of which we have made and you will enjoy during the class. 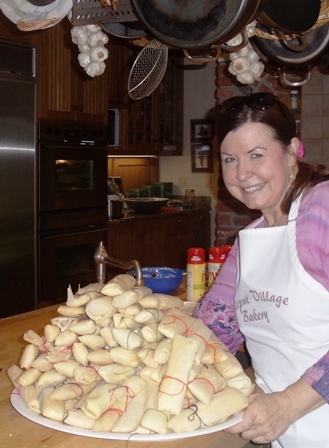 You will also receive tips on baking bread in your home oven with great results and a loaf of freshly baked Sourdough Bread, right out of the outdoor brick oven, to take home! Everything you will need to make crusty, beautiful artisan sourdough bread! Amy Gremore showing off her beautiful pizza, ready for the oven! Please feel free to bring your own wine to enjoy with your pizza lunch…..No corkage fee! 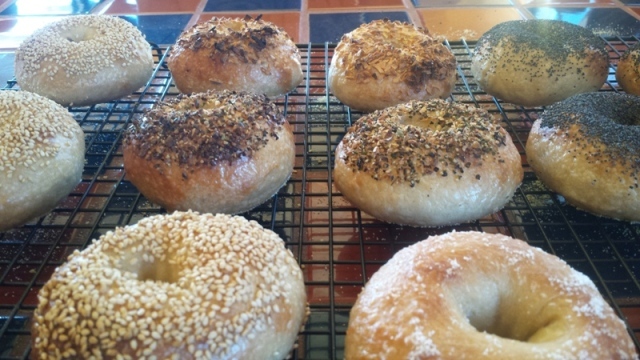 Have you always wanted to make Bagels; not those puffy, bready ones, but real New York-style, chewy Bagels that have that shiny crust? I can teach you….a very hands-on Class that will show you how to make your dough, shape them, boil them, bake them and toast them! You will be surprised at just how easy they are to make. Being able to take frozen, raw Bagels out of your freezer and bake them off as you need them, is a dream come true! Lox, cream cheese, homemade jams or anything else you love on toasted Bagels! I will give you the recipe for the Bagels, full instruction along with other recipes like Strawberry Schmears, Herbed Schmears and more! It’s a fun class! We offer Bagel Sandwiches and a Salad for lunch, along with Soft Drinks, Iced or Hot Tea, Waters. If you would like an adult beverage with your Bagel Lunch, you are welcome to bring it! Bring your appetite! Vital Wheat Gluten is available for purchase after the class! Class fee is $70 per student; Minimum 6 Students (Max is 8) to have the Class. 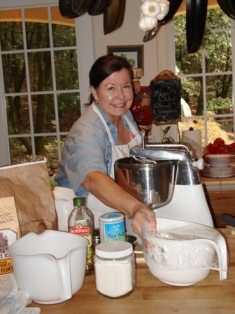 Bagel Classes begin at 11:00am and end at approximately 3:00pm Kneading Bagel Dough with my good friend, Barbara! A very fun class where we make traditional pork and chicken tamales as well as fire-roasted, mild green chile and cheese tamales. This 4-hour class includes instruction and recipes for making your tamale fillings, tamale masa dough; different techniques of wrapping them in corn husks; proper way to steam them to perfection; Pork Tamales will be served for lunch and will include our delicious dessert Pumpkin Tamales; you receive a packet of class information and recipes; AND you will take a dozen or your own freshly steamed Tamales home for dinner! We top our Tamales with a special housemade “Chili Sauce” we call Gringo Gravy, that is Tex-Mexy, Sassy and smokey good! Recipes using our Gringo Gravy are available for sale after the class….if you buy the recipes you get the Gringo Gravy for free! We will also serve a Pico de Gallo and a Smokey housemade grilled “Fire Roasted” Salsa along with Tortilla Chips, Black Beans with Corn and Spanish Rice! What’s for dessert? Well, besides the Pumpkin Tamales, Churros are on our menu! Learn how to make these cinnamon and sugar coated treats! All this served with our very own Caramel Cinnamon Ice Cream and Mexican Wedding Cookies…..a very fun day…..limited to 6 Students…....it is an afternoon Fiesta! Please bring an adult beverage, if you would like! Oh, yes, please bring your big appetite, too! Also, ask about our special Birthday Package….for an additional $50 we will have a Piñata hanging and filled with goodies, a special dessert with candles for the Birthday Girl or Boy (Man or Woman?) and a special, wrapped gift (wrapped gift value is $24) for them! Dried Corn Husks, Masa Flour and Tamale Steamers available for purchase after the class! Class fee is $65 per student Minimum 6 Students (Max is 8) to have the Class. 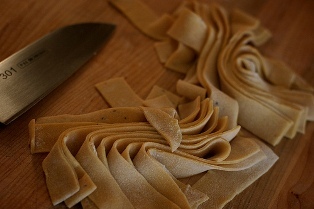 Impress your family by making fresh pasta for dinner! Learn how, step-by-step, to mix, roll, cut and cook your fresh pastas; from “grandma’s” egg noodles to fettuccini, tagliatelle and ravioli, as well as some of the best pasta sauces; Bolognese, puttanesca, alfedo, Gruyére and onion; and fresh, raw tomato with fresh basil. Learn the “master recipe” technique to create numerous, beautiful sauces. We’ll have lunch, of course, to sample our pastas and sauces with fresh pasta for you to take home, along with all the recipes; even our special meatballs! Feel free to bring your own wine to enjoy with lunch. No corkage fee! Saturday or Sunday Classes available! Classes held on Saturdays/Sundays are dependent upon Bread & Pizza Classes/Tamale Classes scheduled. Book an evening class/dinner party with your friends for a very special Soirée! Learn how to make some of the classics like Braised Lamb Shanks with crispy Polenta Cakes, Planked Beef Wellington on the BBQ with Béarnaise Sauce, Pepper Crusted Filet Mignon with Horseradish Cream, Filo-Wrapped Wild Salmon with Honey Mustard Sauce, or a menu of your choice! Ethnic dishes of all types are also offered! Learn the secret to a perfect Creme Bruleé and other fantastic desserts. Enjoy hors d’oeuvres in the upstairs English Pub Room with wine and martini service, optional. Ask about our famous signature cocktail! This will be a very memorable evening! *Classes start at $70 per dinner guest, depending on the menu chosen! Currently…..only Friday and Saturday evenings are available for the evening classes! 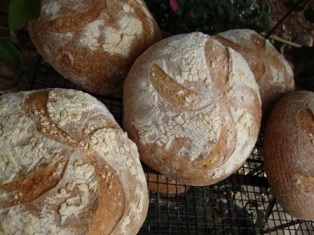 Evening classes held on Saturdays are dependent upon Bread & Pizza Classes already scheduled. Please register for a class today…we’d love to have you!